This post contains my referral link. Signing up via my link will result in a referral bonus for me. Thank you. You must be a TopCashBack member to take advantage of this offer. To create an account click here. It’s Freebie Friday on our TopCashbackFacebook page! 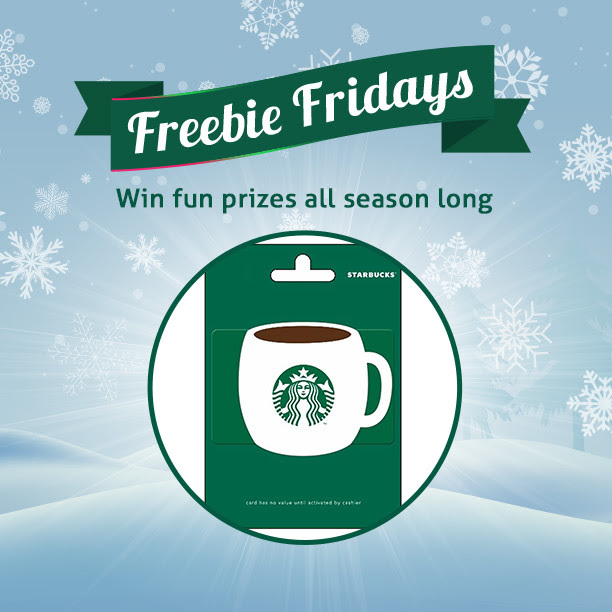 Today’s Freebie Friday is a chance to win a $15 Starbucks gift card. I’m sure your readers would love for a chance to win a cup of the good stuff. All that they have to do to enter is simply comment on the link below with there favorite coffee drink. We’ll select a winner Monday 9am EST. Starbucks is one of my favorite places to get coffee. It’s not just because they are everywhere, but they really know their stuff AND they have trained and chosen staff who are friendly, knowledgeable and personable. For me going to Starbucks is as much about the experience as it is about the delicious espresso drinks and yummy pastries. BTW, STARBUCKS – you NEED to bring back the flourless cookie!!! What is your favorite Starbucks drink or food item? What would you buy with the $15 gift card if you won? I like Starbuck’s iced coffee, black with one sugar.